A student of Bronislaw Malinowski, the Polish ethnographer Jozef Obrebski was a keen observer of cultural change among eastern European peasantry in the years before the Second World War. After working with the resistance in Warsaw during the war, Obrebski went on to do additional ethnographic research in Jamaica (with his wife Tamara), taught at Brooklyn and Queens College and C.W. Post University, and from 1948-1959, he was senior social affairs officer with the United Nations. He died in 1967. 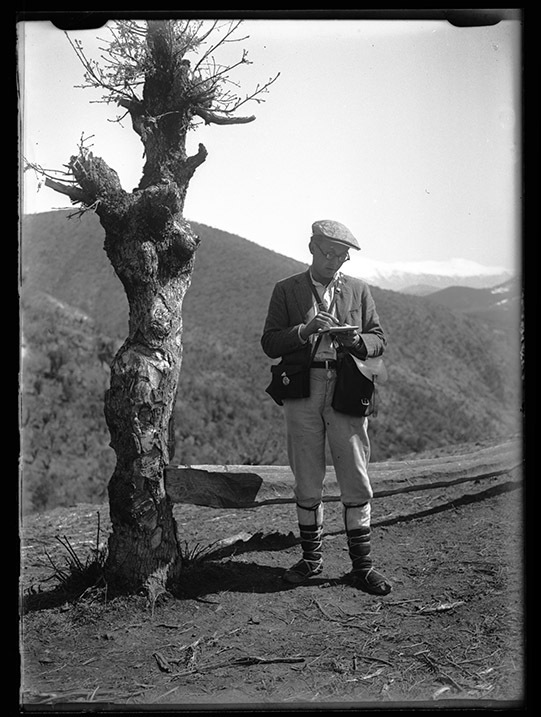 The Obrebski collection consists largely of ethnographic data collected by Obrebski in Macedonia (1931-1932), Polesia (1934-1936), and Jamaica (1947-1948), including field and interview notes, genealogies, government documents relating to research sites, and ca. 1000 photographs; together with correspondence (1946-1974), drafts of articles, analyses of collected data, and tapes and phonograph records, largely of folk music; and papers of Obrebski's wife, Tamara Obrebski (1908-1974), also an ethnologist and sociologist.